Pawn PS4 / PlayStation 4 for Fast Cash Now at the #1 Pawn Shop! Even though the PlayStation 4(PS4) is fading away and not so new any longer, it’s still extremely valuable. When you Pawn PS4, or Pawn PlayStation 4, you can get hundreds and hundreds of dollars in just a mere minutes. If you need fast cash, don’t pawn something you are going to need, such as a phone or a laptop, when you can get all the fast cash you need with a pawn loan on your PlayStation 4. Then, you get a nice window of 90 days to repay your pawn loan, or you can even come sooner to pay off your loan and get your Sony PlayStation 4 right back in your hands. And rest assured that if those 90 days simply aren’t enough, we won’t just take your precious PlayStation 4 from you. At the end of the loan term, all we require is that you pay down the interest, and we’ll be happy to extend the loan another 90 days for you. 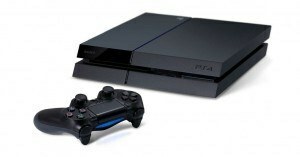 What’s Required to Pawn Playstation 4? We really don’t need too much in order to write a pawn loan for you. We need the essential items that are simply required to operate the PlayStation 4. The reason for this is obvious — we need to test the item before we can give you a pawn loan on it. It can help for you to bring a game with it if you’d like, however we have games that we can use ourselves to test the system as well. Our testing is a pretty simple process — we’ll test it with a video game, and a Blu-Ray movie to make sure that everything functions okay. As far as what we need, we need all of the cords(the power and the HDMI), a controller, and the charger for the controller. This allows us to operate the system and test it to make sure it’s working the way it should. After we can verify that everything is in working order, we’ll make you a cash offer for your pawn loan. Should you accept, all we need to do is collect a few signatures and then we’ll go ahead and put that cash right in your hand. Your PlayStation 4 will be locked up in our safe, secure storage facility until you come back to pay off the pawn loan at which point we’ll return your item to you. We will bag up the PlayStation to protect it from dust and such so you don’t have to worry about the safety of your item while it’s in our possession.